Implementing and managing social media communications on behalf of multiple brands. The Social Media Executive will be responsible for driving the success of social media activities for design, lifestyle and fragrance brands, ensuring all activities deliver on industry KPIs and individual brand objectives. This is a key role within a fast paced PR agency. The successful candidate will have a background in social media; preferably within the interiors or luxury industry, be highly organised with a creative eye and strong attention to detail. Understanding of email marketing, paid social media, reporting and analytics is beneficial. Liaising with and acting as the first point of contact for clients on day-to-day social activities. Planning, creating, scheduling, posting and reviewing social media campaigns for multiple clients. Activating, tracking and reporting on paid social activities. Ensuring campaigns deliver target CPAs. Creatively and proactively engage with target followers to drive brand reach utilising a brandappropriate tone of voice. Monitor and report on social media performance using standardised social media metrics; develop and action recommendations. Creates on brand written, graphic and video content. Maximises content with relevant and traffic driving tagging. Creates content that drives traffic and engagement. Interacts with brands to gather images and content. Schedules all posts in an efficient and timely manner. Creates reports on all managed channels. Analyses channel information, demographics and click through rates. Works with the relevant PR team to share PR content. Uses planning documents to gain client approval for all posts. Scheduling content to create on brand feeds, monitoring and optimising all activity. Publishing content to an agreed and approved schedule using scheduling tool. Monitoring and responding to all comments and shares. Responding to all customer service enquiries in line with the client’s best practice. Researching, following and engaging key customers, influencers and press to widen brand reach. Liaising with influencers to deliver sponsored posts and brand partnerships. Attending client events and launches to create content. Creating and circulating monthly reports. Maintenance of client image and content libraries. Strong knowledge of key social media channels. Creative, innovative and skilled in delivering engaging on brand content. Motivated and keen to learn and develop. Excellent copy checking and writing skills. Consistently demonstrates initiative and is conscientious. Able to understand and interpret brand tone of voice. Strong knowledge of Facebook, Instagram, Pinterest, Twitter. Photoshop skills are essential. Image editing, creation of MP4s and occasional document formatting. Mailchimp or other e-marketing tool beneficial. Active in online and social media; strong interest in all key social channels. Design, Interiors or luxury brand experience a plus. Hours are Monday –Friday 9:30am-6pm. This role occasionally requires the monitoring and responding to social media contacts out of hours, as well as attendance at press and industry events outside standard hours. 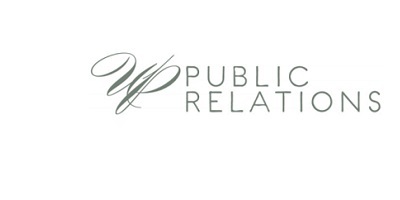 UP Public Relations, 36 Chiltern Street, London, W1U 7QJ. This role occasionally requires the Social Media Executive to work off site at client’s premises to create content.